Kenmare News | Twinkle toes! 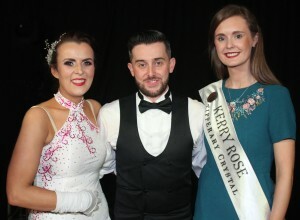 Mary Galvin and Darren Casey the winners of Strictly Come Dancing in Sneem pictured with the Kerry Rose Celine O’Shea. Mary Galvin is from the Black Shop Castlecove and is Mary Teahan’s niece.